Shorter games are challenging the idea that length of play is linked to quality, with some of the most popular games of the past few years taking only a few hours. For a kid with plenty of free time, a 100-hour open-world adventure video game sounds like a great way to spend a summer vacation. For adults with full-time jobs, families, and all the responsibilities adulthood brings, that same game can feel impossibly long. Yet those are the games that have been seen in the video game industry as the pinnacle of the form, bringing in plenty of cash, awards and accolades. That my all be changing. Shorter games are challenging that idea that length of play is linked to quality. Some of the most popular games of the past few years can be completed in a single sitting while still delivering a meaningful experience. Steve Gaynor is the co-founder of indie studio The Fullbright Company, which is producing shorter games meant to offer a high-quality experience without the need to spend a large amount of time. “As much as we do like epic, sprawling games, we also feel like sometimes people want something small, detailed, and focused,” Gaynor said. 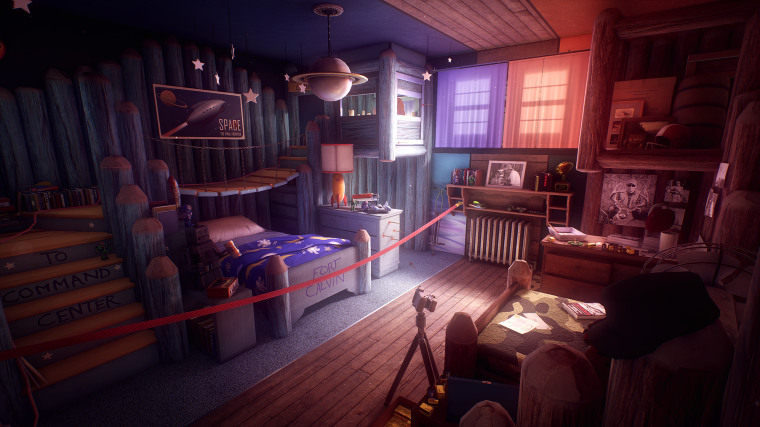 Fullbright’s first game, “Gone Home,” was a quiet, thoughtful experience clocking in at around three hours. It generally earned positive reviews on aggregate site Metacritic upon its 2013 release, but also inspired plenty of debates about the importance of game length. “We definitely intended for the game to be short,” Gaynor said. Set in the mid-90s against a punk rock soundtrack, “Gone Home” puts players in the combat boots of a teenager returning home after an extended trip abroad to find her family’s home abandoned, resulting in an eerie search for clues about their whereabouts. Giant Sparrow’s “What Remains of Edith Finch,” published by Annapurna Interactive in 2017, is less a single narrative than a collection of short stories about a seemingly cursed family. According to Creative Director Ian Dallas, it was this format that led to the game’s playtime of under three hours. The final result was a critically acclaimed game described by one reviewer as “a beautiful and haunting exploration of life, death and family tragedy,” despite being around the same length as a Marvel movie. “Adding in filler or repetitive content in order to hit a certain playtime was a practice I didn't love from the big games I'd worked on,” said Sam Barlow, writer and director of the 2015 indie hit “Her Story.” Instead, he wanted to make an experimental game that was approachable, accessible, and free of unnecessary fluff. Shorter games have also forced developers to get creative, resulting in new types of experiences that are beginning to attract large audiences. Barlow’s approach led to one of the most creative, original ideas in recent gaming history — “Her Story” requires the player to piece together a mystery by typing key phrases into a search engine and watching live-action video clips of police interviews. Shorter games also have a particular advantage over their longer siblings — “Gone Home,” “Her Story,” and “What Remains of Edith Finch” each cost less than the standard $60 standard retail pricing, though whether or not a game’s length should affect its price is still up for debate. While Gaynor admits game length plays a part, another big factor is quality. “I think that if something is short or small but very compelling and sticks with you afterward, that makes it worth the price,” Gaynor said. Barlow also added that the experimental gameplay in “Her Story” was a bigger factor in pricing than its playtime. “When you're trying to introduce something new, you want to reduce the barrier to entry as much as possible,” Barlow said. One thing all three developers agree on: Don’t expect these bite-sized interactive experiences to disappear. Gaynor thinks we’ll see more because they’re appealing not only to gamers but developers as well, giving them the opportunity to make stories that are different or more personal. On top of that, they’re easier for less experienced players to pick up and play; “Her Story” is even available on iOS and Android mobile operating systems so those without home consoles can enjoy the experience.